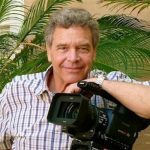 Shaun is President of MacGillivray Freeman Films and Managing Director of the company’s One World One Ocean Campaign, a multi-year, multi-platform ocean media initiative aimed at inspiring greater public awareness about the world’s oceans. 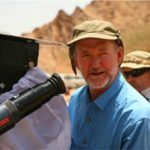 Producer of the award-winning 3D giant-screen films National Parks Adventure, Dream Big: Engineering Wonders of the World, and Humpback Whales, among others, MacGillivray is also producing the company’s forthcoming films America’s Treasures. The son of Academy Award®-nominated filmmaker Greg MacGillivray, Shaun grew up on film locations all around the world.